iPhone 8 and iPhone 8 Plus launched.What are the new exciting features and specs? Finally iPhone 8 is out.iPhone 8 is available in two variants.iPhone 84.7-inch display and iPhone 8 Plus 5.5-inch display.What is new in iPhone 8 and iPhone 8 Plus?What changes they have from iPhone 7.? An iPhone formed from glass.Both models iPhone 8 and iPhone 8+ feature a glass back and front. Three new finishes.iPhone 8 comes in three new glass finishes: space grey, silver and gold. And an oleophobic coating lets you easily wipe off smudges and fingerprints. There are two “performance” cores and four “high-efficiency cores” for a total of six.This chip falls under the category ‘heterogeneous computing processor’, which is effectively allows devices to run on processors that have cores of different specifications. This unlike a processor in your PC, where all the processor cores are exactly the same. Speeding up image recognition including biometrics. Apple says it’s the “most powerful, and smartest chip ever in a smartphone”. Compared to A10 series, Apple claims 25% better performance from those all-important performance cores, while the four high-efficiency cores will collectively be 70% faster for background tasks. What’s more exciting is that the controller, which decides what cores get which tasks, now allows all six cores to work on the same task, allowing for 70% faster multi-threaded workloads. Graphical processor GPU is said to be 30% faster than A10, while consuming half the power. The A11 Bionic includes a faster image signal processor for better camera performance, better pixel processing and better noise reduction. New 4.7‑inch and 5.5‑inch Retina HD displays.Retina Display is a term developed by Apple to refer to devices and monitors that have a resolution and pixel density so high – roughly 300 or more pixels per inch – that a person is unable to discern the individual pixels at a normal viewing distance. True Tone technology automatically adjusts the white balance to match the light around you. For a better viewing experience in all kinds of environments. So images on the display look as natural as on a printed page, reducing eyestrain. Apple 3D Touch is a hardware-based feature Apple introduced in iPhone 6s and 6s Plus that perceives the amount of force a user puts on the touch screen to activate different functions. Wide Viewing Angles:Dual‑domain pixels give you a great view of the screen from almost any angle.Dual-domain pixel is a special arrangement of pixels in a display to obtain wide viewing angle. iPhone 8 and 8+ are truly wireless device, free from charging cables and headphone cords. 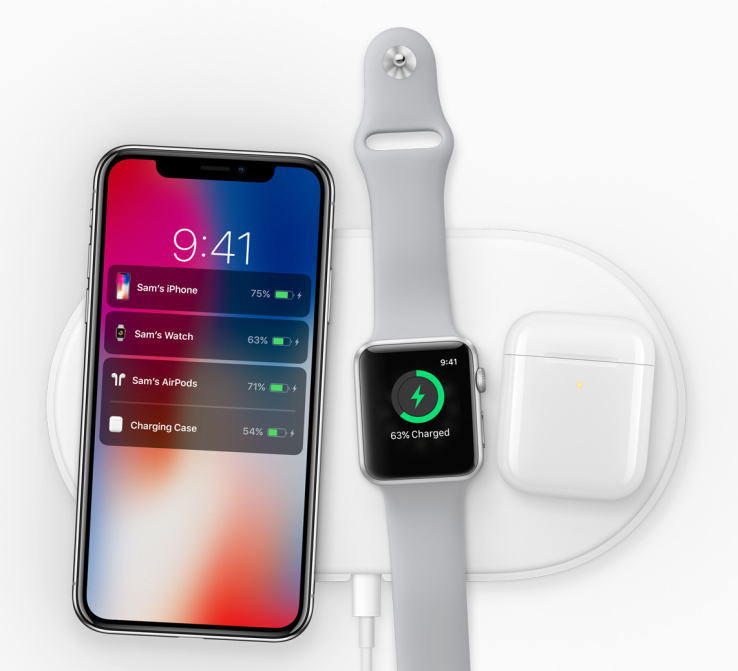 With a glass back and an embedded wireless charging system, iPhone 8 and iPhone+ is designed for a wireless future. The intelligent new AirPower mat(coming in 2018) lets you charge your compatible iPhone, Apple Watch and AirPods anywhere on its surface.The AirPower mat uses a new kind of charging standard that supports multi-device charging. All‑New Sensor:iPhone 8 features a more advanced 12‑megapixel camera. With a larger, faster sensor. A new colour filter. Deeper pixels. And optical image stabilisation for photos and videos. iPhone 8 Plus Dual Cameras:iPhone 8 Plus has a wide‑angle camera with an ƒ/1.8 six‑element lens, optical image stabilisation and a larger, faster 12‑megapixel sensor. It also has a powerful ƒ/2.8 telephoto camera. Together these two cameras enable optical zoom and Portrait mode. 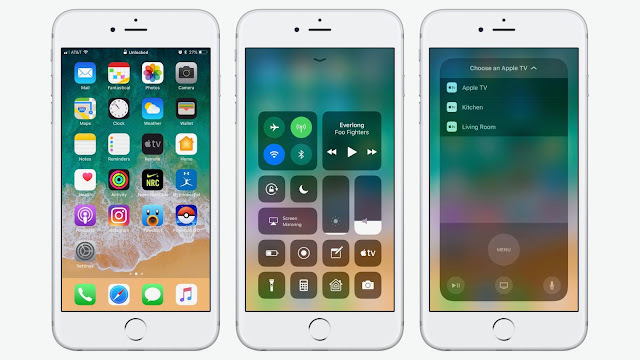 Apple iPhone 8 and iPhone 8 plus run on iOs 11.It makes iPhone better than before.Apple says 'iOS is the most advanced, intuitive and secure mobile operating system in the world. The new Files app brings all your files together. You can easily browse, search and organise all your files in one place. And there’s a dedicated place for your recent files. 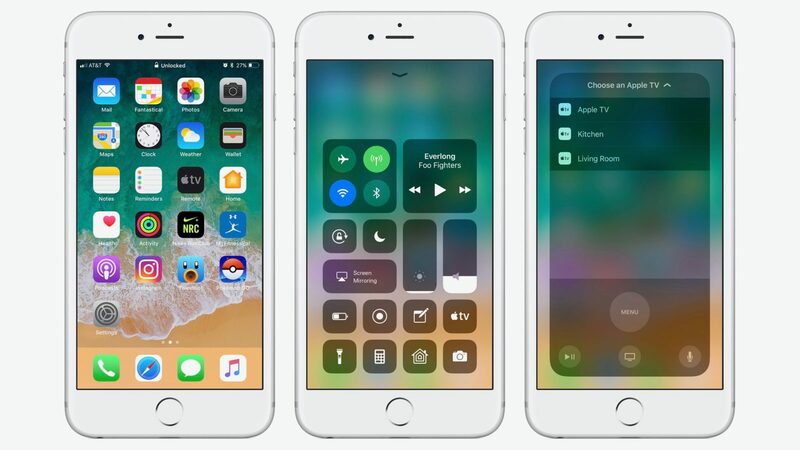 iOS 11 makes it easier and more intuitive than ever to multitask. You can open a second app directly from the Dock and both apps remain active in Slide Over as well as Split View. Augmented reality. :iOS is the world’s largest augmented reality platform. Games and apps now offer fantastically immersive and fluid experiences that go far beyond the screen. By taking advantage of the latest in AR technology, you can digitally redecorate your home, explore a city you’ve never visited or even try on a new tattoo. Siri:Through advanced machine learning and artificial intelligence, Siri can send a message, set a timer, be your personal DJ and so much more. AirPlay 2. With the new AirPlay 2, you can control your home audio system and the speakers throughout your house. You can play a song in the living room and your kitchen at the same time. Adjust the volume in any room. Or have your music start instantly on all your speakers — in sync with one another. Do Not Disturb.When you’re driving, just drive:iPhone can now sense when you might be driving and help keep you from being distracted by calls, text messages and notifications. People trying to message you can automatically be notified that you’re driving. Automatic Setup:Just hold your new iPhone or iPad near an iOS device to sign in with your Apple ID automatically. Many of your personal settings, preferences and content will be quickly and securely imported. There is no doubt that iPhone is the most trustworthy smartphone brand,but Samsung pose a real threat to iPhone models since Samsung has geared up their innovation and competitiveness.iPhone 8 and 8+ are priced at $699 and $799 respectively.But Samsung has already rolled out handsets with above specs for lower price tag.Android is also fast evolving.So demand for iPhone 8 and 8+ is yet to see. As a brand iPhone is always a step ahead but people also love innovations and uniqueness. For more interesting tech news and updates Like our fb page and Share this article on Exciting New features of iPhone 8 and iPhone 8 Plus.